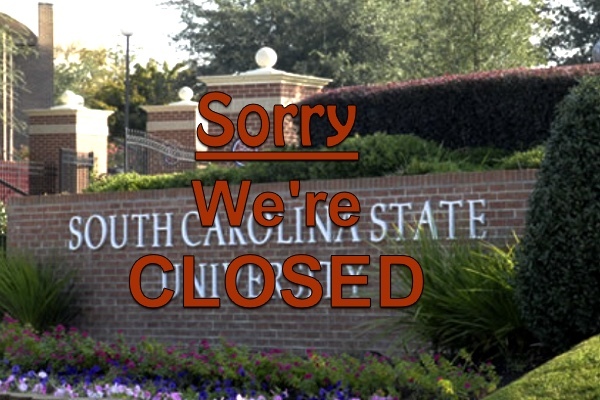 South Carolina’s Brilliant Idea for Black History Month: Close a Historically Black College! Crystal R. Sanders, PhD, is assistant professor of history and African American studies at Pennsylvania State University. On Tuesday, February 11, 2015, a South Carolina House of Representatives budget panel voted to close the historically black South Carolina State University for two years. The measure would supposedly help secure a firm financial foundation for the institution. The 3,000 students currently attending the only public black four-year college in the Palmetto State would receive state scholarships to attend other South Carolina public colleges or any other historically black university in the state. The lawmakers’ proposal is just the latest attack on historically black colleges and universities (HBCUs). Most of these institutions were established in the years after the Civil War to educate formerly enslaved African Americans. South Carolina State University was founded in 1896 and serves as one of South Carolina’s two land-grant institutions. Like the overwhelming majority of public HBCUs, South Carolina State has suffered from many decades of state underfunding. For a large part of the twentieth century, southern legislators chose to assist black students in receiving education out-of-state rather than desegregate their facilities or establish new programs at black schools. The current proposal to provide scholarships for South Carolina State students to continue their studies elsewhere smacks of the same disregard shown to black students and black colleges in an earlier day. Not only does the proposed closing hurt the institution’s chances of recruiting and retaining the best students and faculty, but also, it continues a long pattern of state-sponsored abuse and neglect. For example, when meaningful desegregation began in higher education in the late sixties, rather than erect world-class facilities and academic programs that would draw large numbers of students to South Carolina State, South Carolina Governor Robert McNair sent in highway patrolmen as black students at the Orangeburg institution protested their exclusion from a local whites-only bowling alley. Three of the protestors were killed in the 1968 event. For years, state officials lied about the details of the murders to hide their guilt. Commonly known as the Orangeburg Massacre, the incident predated campus shootings at North Carolina A&T, Kent State, and Jackson State. For certain, South Carolina State University’s leaders have played a role in the institution’s current troubles. Poor leadership led to massive debt and declining enrollment numbers. We must be mindful, however, that these leaders—presidents and university trustees—are selected by the Governor and the General Assembly. The state is culpable and should not now have the option of closing the institution to once again cover up its mistakes. In 1962, Benjamin Mays, the president of Morehouse College and the dean of black higher education, discussed what was ahead for black colleges with desegregation on the horizon. He noted that though black colleges had been segregated, they had never been segregating. Mays asserted that these institutions were ripe for unique possibilities since they were “unhindered by the traditions and customs of the past.” He believed that if black colleges were well-financed and equipped with popular courses of study and good faculty, then students from all ethnicities would enroll. Mays ended his commentary by warning that if HBCUs are closed, “we will be subjecting them to a harsher form of discrimination than they have yet experienced.” South Carolina, the ball is in your court. Will there be another massacre in Orangeburg?